That's what Hubby told the Dr he saw the other day when asked who I was. 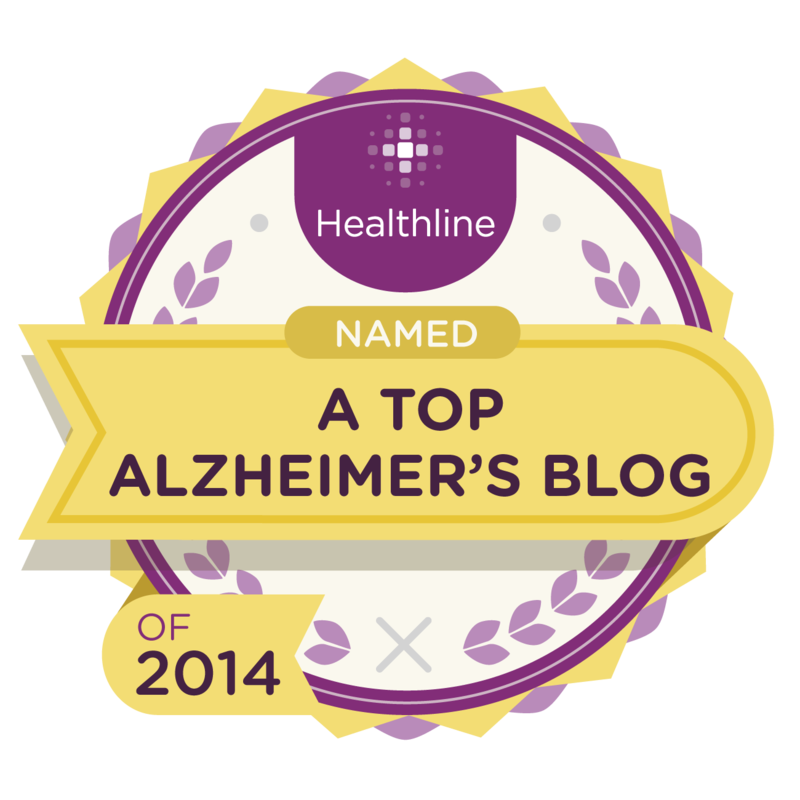 Sometimes I just get so tired of caregiving for Lewy Body Dementia that I don't want to even think about it, talk about it, research it, blog about it, read about it. Unfortunately it's like air, caregiving is vitally needed so you go into auto pilot. Or at least in my case you do. I'm hoping it's just this dreadful heat we are having. A body doesn't want to do anything in it. So where are we? Lets see. Still in our holding pattern except for some unexplained anxiety Hubby has been experiencing lately. We had an appointment with the Veterans Admin for Aid and Attendance a few days ago. We don't think he will qualify because his problem is not his service connected disability. I didn't really have high expectations for it but we followed through knowing all they can say is No. So we get the appointment to see the Board Dr.
Hubby needs a 2 hr window to get ready to go ANYWHERE! Our appointment is in the afternoon so I don't have to get him up early.We have over an hr drive which is always difficult for Hubby. He sleeps or rides with his eyes closed so that helps. Big City traffic distresses me AND Hubby. The traffic itself for me and the amount of stimulus for Hubby. As we prepare for the day I ask Hubby if he would like to stop and eat before we go. Hubby agrees and we stop at out favorite restaurant for lunch. Hubby allows me to use his wheelchair to take him in. This is actually the second time he has conceded to it's use getting into the restaurant for which I am VERY grateful. Served and filled we make the trip to the Big City. We arrive in plenty of time, check in and sit in the waiting area. We are quickly called to the Dr office. Now if you are familiar with the V.A. you know this is a rare thing indeed! The Dr proceeded to ask Hubby a few questions. Who I was, answer, "She's supposed to be my wife". Still stings but shake it off. What was our address, unknown and looked to me for answer. Then Dr asked me some Qs about Hubby's abilities to care for himself , walk or be alone. Dr showed me Hubby's THICK file that was going before the board. Dr explained what our obstacle was. Dr said he would help all he could and we were finished. People this took ALL OF 10 MINS!! from wait time to leaving. Going to the bathroom before the hr long trip took longer!! Every one of these Qs could have been asked over the phone, or gleaned from his records. Especially from the form that his PC Dr filled out for this very thing just a few months ago! So anyway we make the trip home, stop by the fruit stand for the green tomatoes on the way and a trip to the store for milk then home. I do not know what happened at this point but Hubby became agitated at me and refused to let me get the wheelchair to help him get to the house. For Hubby, the walk to and from the car is rather long so he uses the wheelchair and I am considering a few yard and parking modifications. His anger was verbal in nature and the heat was high. He refused to let me assist in any way and told me to get away from him. The more I tried to get him to explain the more anxious he got. Realizing I wasn't helping the situation I left him there and came into the house watching him from the window. Hubby struggled to get around the car but eventually made it only to get 'stuck' as soon as he needed to let go of the vehicle and walk without support. Seeing this I offered to assist in a matter of fact non threatening way. "Honey, I'll be happy to get the chair for you." this was met with a hard look and a wave off. Again I retreated to the house. Watching Hubby let loose of the vehicle and 'freeze' in place was heart wrenching. I worried about the heat also. Yet no matter how many times I offered assistance he refused. Eventually he walked to the front of the car into the shade, was able to get a hold of the house and work his way to the porch along the wall and to the front door. Once inside he was hot and HOT! I left him alone as he went to our room, undressed and got into bed. I never knew what set him off but as the night came he seemed in a little better mood. Anxiety continues to plague Hubby but not like that day. At least he isn't angry and I can deal much easier with non angry issues. Most of the anxiety seems to hit at night, Hubby's internal thermostat goes haywire and he is usually burning up. I put the fan on him directly and it seems to help. I'll come running only to find him confused, restless and unsure of himself. I make him comfortable as possible and sit with him until he sleeps. Specifically last night I was busy in the kitchen when Hubby yelled for me. At first I said I would be right there, hang on, but he yelled again leaving me to believe he had fallen and needed help or something like that. I ran to the room to find him in bed but distressed. I asked if he was Okay to which he replied, "NO I'm suffering" I snuggled up to him until he settled down. Anxiety is the new norm. Another new norm is Hubby's declaration of his death. He talks about it quite often. It goes along with his desire to move away and 'go home' to live alone. Wherever home is. And me? I have finally overcome my mental hurdle about exercise. I wanted so much to attend a gym not just for the exercise but for the motivation, support and communion with others. But it was out of my reach so I sat frozen basically in my own depression UNTIL I watched an old episode of Bones ( I love that show) anyway, in the episode she and her partner Boothe were interrogating a woman. The woman was quite large, to be polite, and as they walked in the room, Boothe covered his nose and asked "What's that smell?" Bones, answering in her direct, scientific manner she has, said, "Mold, morbidly obese people have a tendency to develop mold in their fat creases." I nearly fainted and my hurdle for exercise was jumped! I did not wish that to be me. So I started changing my eating habits and began ATTEMPTING (major emphasis) the couch potato to 5K challenge. It has NOT been easy as it's taking me 2 weeks to accomplish week 1 but I can see results not only on my scale but in the way I feel. I changed how I thought about me, God gave me a job, caregiving. How could I continue to do it properly without the right tools? 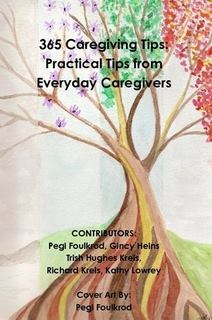 My body and mind are all part of the caregiving package and I was not using them to do the job properly. I could feel my own health failing. It needed repair. Just like any piece of equipment we have that might need repair I would see to it that the piece was repaired or replaced. Since I didn't want to be replaced, ie having to place Hubby due to major illness of me, it was time to repair the Temple. In my eating change came Hubby's eating change. Healthier choices, smaller portions, more fruits and veggies. No candy, few sugars. Hubby's change is less restrictive than mine. If he asks for it he still gets it but I don't volunteer those things or have them readily available, well except for the fudgepops. They will have to be a special trip to the store. I even tried to give up my morning coffee but that was the result of a 3 day headache! I couldn't live with that so I welcomed it back with open arms. I'm gradually cutting back on the amount and it seems to be working. I purchased a juicer for fresh juice. These changes are not easy, I won't lie and say they are a breeze. They haven't given me miraculous power to be superwoman. They are just a step I needed to take for me. I still get tired of caregiving. It consumes my every thought and action. Even when the aide is here is still not down time. I must run errands and be aware of the time. Everything I do has to be with Hubby in mind, even at the back of it. And if it's not supposed to be, how do you separate him from it? I'm still challenged in my caregiving roll but I'm trying to stay positive. I know the changes are inevitable and I hope to be able to roll with them. There are just some days I'm in caregiver overload and I want to sit down and say, No thanks, I'm good. This is such a wonderful post. I gained weight when I realized my husband has Alzheimer's and he lost weight because he said he wasn't hungry. I have come to see that I need exercise and to plan careful meals. Hubby likes ice cream, but that doesn't mean I need it. I have started giving him his dinner, but not dishing up mine because I might have to finish his and I used to do that plus mine. Emotional eating. I know more how to pray for you now. 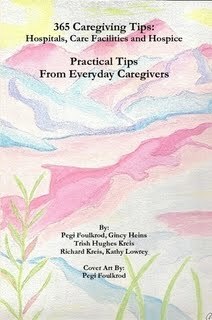 You are an awesome caregiver who is living "in sickness and in health". So sorry he doesn't recognize you as his wife. Love his insistence to get himself back in the house and your extreme patience. Thank you for taking the time to read my ramblings. I get a little long winded LOL! OH how I covet your prayers! I'm an emotional eater also. I'm with you sister! Yes I had to give Hubby all kinds of credit for getting to the house. Of course I never verbalized it for fear he would take it as a "He was better and can do anything" comment. I enjoyed your post today also. My husband has Parkinson's and dementia and often experiences anxiety. He also gets angry with me for no reason that I can see. I guess it comes with the territory. You are remarkably strong and patient. I pray for patience every morning and night, but sometimes reach the end of my rope. When that happens, I go into another room until I can regain my composure. It only happens when hubby has been verbally mean to me and he can be exceedingly nasty at times. Now about the weight issue....I too have gained weight and I truly believe it's more from stress than anything else. Of course hubby has lost weight and he eats 3 scoops of ice cream every night! We have always eaten lots of veggies and fruits and fish. That's why I think it's more from stress. I am very proud of you for starting your exercise regime and eating properly. I know it will make you feel better besides helping you with the weight. Keep posting! We'll keep reading. I get a little long winded!!! Thank you for staying awake through it LOL! Ohh I learned a long time ago not to pray for patience. tribulation worketh patience, and I have enough trouble without asking for it :) cheesy grin. I'm glad you have a place you can escape to and regain your composure. I know it's hard to separate the illness from the man at times. Oh I let my weight get out of control and I know it. I couldn't get over the "take care of self hurdle' no matter how much I read and tried to convince myself. I think we all need to come to our own AHA moment. I'm just glad a serious and sudden health issue wasn't my AHA moment. Just the thought of mold ewww. I've always been a stress eater. It's never that I'm hungry, I just do it without thought. I hope I continue this new habit for the remainder of my life. And yes I have noticed that I am beginning to feel better. I don't get winded going up the stairs anymore. Small things but a big impact in my life. I wish you the best and Thank you again for reading. Hello Kathy... I felt the same way as you do now when my mom lived at home with me. I was so stressed out all the time and found myself eating too many comfort foods. I didn't have the motivation to exercise at all. I was always too tired. I now have more energy and my time with my mom is sweetness times 10. Mom's agitation we treated with a Homeopathic Remedy. It is the only thing that works for her and the best part is it has no contraindications nor do they have side effects. The nursing home that my mom is in, now is giving them to her too so I don't have to be there all day long to give it to her when she needs it. Homeopathic remedies made care giving much easier for me and contributed to better days for my mom. Homeopathic remedies are a super diluted part of the plant that it comes from. The concept is "like treats like." For example, when my mom hallucinates wild scary things, I give her Helleborus Niger 30 C (that's the strength - super diluted, the higher the number the more diluted the remedy.) If a person ate the helleborus plant, it would give the same wild hallucinations. By giving her the diluted essence of the plant, her bodies natural healing system kicks in and the hallucinations go away within 15 minutes. It's sort of like a natural vaccination. For agitation and wandering, we have been giving her Hyoscamus Niger 12 C. (30 C is good too.) It works for her. It may not work for hubby, but there are others that would. For sleeplessness, my mom is taking Stramonium 30C. It works! She had not slept for weeks at the nursing home. She was jumping up like a spring from what appeared to be a sleep state. Boing! She was up and agitated to beat the band. She was making the nurses nuts. The aides too... so much so that they began to trap her behind a table. That did nothing but piss her off and make her more agitated. How did I get the nursing home to give her the remedy? I took my mom to her primary care doctor that isn't affiliated with the home that she's in. He is an MD that knows LBD and that drugs are the worst thing we can give LBD folks. He wrote an order for the nurses at the home to give her the homeopathic remedies. Mom is having good days... great days again. She has people around all day to take care of her. It's awesome. I am finally sleeping at night. I am able to grow a garden. Life is more calm and I can hear my heart beat because it's so quiet. It's great. I visit my mom every day. I take her out for rides. I walk with her to make sure that she doesn't become confined to a chair. She is doing acupuncture once a week too. Mom is doing super and never asks to come home. I am grateful. Nursing homes are not so bad if you can find time to visit and observe how the patients are looked after. This was tough to do because like you, time was short and the time I did have, all I could do was sit in a chair numb from the buzz of caring for her. You are starting to think of yourself and that is great! I wish I lived closer to you so that I could help you. Stay with God... he is surely holding you up and giving you the strength to do His work. In my opinion, Care Giving is love in its highest form. I found a pharmacy near our home that has a large selection of remedies. Our Naturopath Doctor took the guess work out of which remedy to use and recommended the remedies for my mom. The nurses at the home are becoming believers in homeopathic remedies because they see how well it works on my mom. She has gone from propelling herself backward fast, zipping down the hall, crashing into people, flailing arms, punching, scratching... to a calm old lady who is more like my mom from days gone by. Trazadone made my mom like a zombie... it was horrible. She had only one dose. It was enough.